Since there will be many students at the course (about 70 so far) it has been split into two sessions. The course will be on Thursdays in classroom C2-040. The students will be split into two groups (more about that later, I am looking for a good mix of backgrounds), one of which will start at 0800, and one at 1100. The groups will alternate every week. 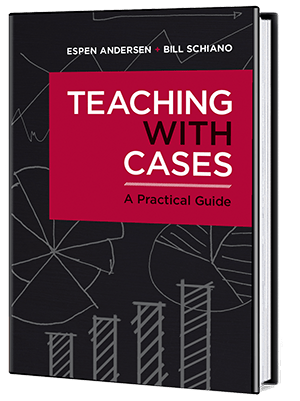 Teaching will be case-based, meaning that you as a student have to show up, have a name card, and be in the same seat for every class. For some lectures, classes may be merged (for instance, if we have a guest lecturer, the first class may start an hour later, the second an hour earlier – and the guest lecturer will not have to do the same talk twice). One (tentatively scheduled for September 16th) will involve the iAD project, an advanced search technology research project hosted by FAST/Microsoft Enterprise Search. Our visitors will be a team of researchers from UCD/DCU Ireland, demonstrating video search on Apple iPads. As part of the program, students will participate as experimental users of the system. The second, probably towards the end of September, will involve McKinsey, the consulting company, with discussions about consulting in a technology-rich environment. McKinsey has a global practice of "business technology" and will use expertise from that area in an excercise involving technology case analysis. Possibly we will have other, similar events. And definitely some exciting guest lecturers. For those of you wishing to prepare early, take a look at the previous courses arranged (last year’s here). The two main books (Information Rules and The Innovator’s Solution) are available in paper and electronic form from many sources, and a good idea might be to get at them early and read them over the summer. The other literature will be either from web sources or made electronically available via BIs new learning platform, It’s Learning (more about this later) or another platform. Evaluation will, as usual, be a combination of classroom participation, smaller assignments during the course, and a final paper. New this year is the form of the final paper – this will be a case description of a Norwegian technology company, which the students can chose from a list (provided later) and written up in a specified format. These case descriptions will go in as research material for the project "A Knowledge-based Norway", preferably under the "information technology" part study. They will by students in pairs and delivered in a collaborative context, using some form of social software such as Ning, WordPress, Google Docs or Origo. I am very much looking forward to an course that hope and think will be fun, interesting and useful both to take and teach. And until August 19th, I wish you all a very good summer! This entry was posted in GRA6821, iAD, Technology strategy on June 25, 2010 by Espen. FAST is a Norwegian software company that was acquired by Microsoft about a year and a half ago. In this class (held with an EMBA class, we will hear presentations from people in FAST, from Accenture, and from BI. The idea is to showcase a research initiative, to learn something about search technology, and to see how a software company accesses the market in cooperation with partners. How search engines work: Start with Wikipedia on web search engines, go from there. 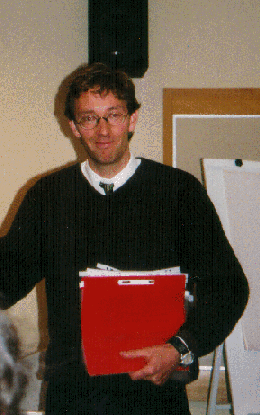 Brin, S. and L. Page (1998). The Anatomy of a Large-Scale Hypertextual Web Search Engine. Seventh International WWW Conference, Brisbane, Australia. (PDF). The paper that started Google. Rangaswamy, A., C. L. Giles, et al. (2009). "A Strategic Perspective on Search Engines: Thought Candies for Practitioners and Researchers." Journal of Interactive Marketing 23: 49-60. (in Blackboard). Excellent overview of some strategic issues around search technology. These articles on Google and others. Yours truly on search (considerable duplication here). This changes almost on a daily basis, but here is a blogpost with some pointers. Weinberger, D. (2007). Everything is Miscellaneous: The Power of the New Digital Disorder. New York, Henry Holt and Company. Brilliant on how the availability of search changes our relationship to information. Morville, P. (2005). Ambient Findability, O’Reilly. See this blog post. Batelle, J. (2005). The Search: How Google and Its Rivals Rewrote the Rules of Business and Transformed Our Culture. London, UK, Penguin Portfolio. See this blog post. This entry was posted in Business as unusual, GRA6821, iAD, Search, Technology strategy on November 4, 2009 by Espen. Creating technology is far from easy – specifically, creating software involves a number tools and techniques that are crucial to overcome the fact that systems are complicated, abstract, and involves interdependencies with many other systems. To understand this we will hear from some of the most experienced software engineers and software project managers in Norway. Our guest lecturers on October 30 will be Dalip Dewan, Senior Vice President of Technology, and Rune Steinberg. Both work at Visma, one of the largest software companies in Norway. Dalip Dewan has a very interesting background, has built large systems and been responsible for the design and building of software platforms to facilitate consolidation and integration of acquired software companies under the Visma umbrella. He is an excellent speaker and a very demanding discussant – come prepared! With Dalip will be Rune Steinberg, a computer scientist who has collaborated with Dalip on the development of software engineering and management methods for more than 10 years. I can promise an exciting class on how to manage software development, particularly integration of many systems, as well as real-world experience on how to manage the people that make the systems. if you do not have experience with computer programming, systems development or software engineering, read the appropriate Wikipedia entries and progress from there. Checking out entries on C, C++, Java, Ruby on Rails, client-server computing, object oriented programming, agile software development and extreme programming (not to mention SCRUM, very popular in Norway) may also be a useful exercise. Or read a book. There are plenty around. Dive into Neal Stephenson’s In the beginning was … the command line, probably the best piece on humans’ relationship with technology (and use of metaphors to understand it) ever written. This entry was posted in GRA6821, Technology strategy on October 24, 2009 by Espen. This assignment is intended to teach you something about collaborative software – and what better way to learn that than to use it? (A side benefit may be to improve the quality and quantity of information available in the English or Norwegian version of Wikipedia.) Wikipedia is an on-line encyclopedia, written collaboratively (that is, by the readers). It uses wiki technology, and everybody can update everything. Order is maintained by common goals and common behavioral norms. Assignment: (The following can be done in either the Norwegian or the English version of Wikipedia.) Be advised that this assignment takes time, so a good idea is to start early and work on it consistently over the time of the course. While logged in, start editing and writing articles – anything you do will be tracked. Write on whatever you want, but make sure that you follow the intention of the Wikipedia. (The Norwegian version is probably the easiest to do this in, since many more articles there either are missing or in need of further development). What, if anything, surprised you the most about the Wikipedia? What uses can you see for this technology in a corporate setting? What does it take for it to be successful? For which kind of businesses and technologies can Wikis be a disruptive technology? This entry was posted in GRA6821, Teaching on October 23, 2009 by Espen.